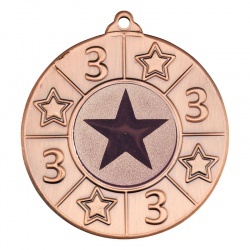 50mm diameter number '3' medal with ribbon loop, in bronze colour finish. 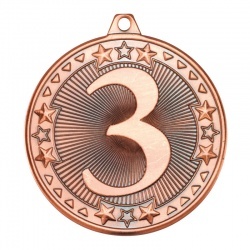 50mm medal with ribbon loop, in bronze colour, with number three and star motif. 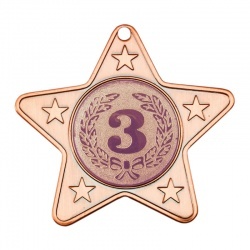 Star shaped medal in bronze colour finish with number three motif. 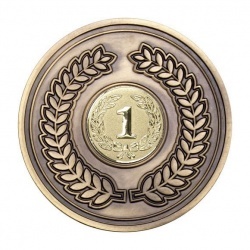 50mm 'dia'. 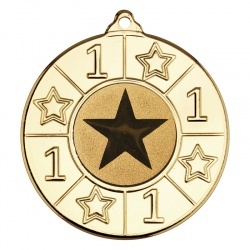 50mm diameter '1' medal with ribbon loop, in gold colour finish. 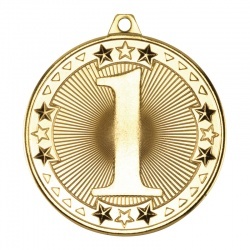 50mm medal with ribbon loop, in gold colour, with number one and star motif. 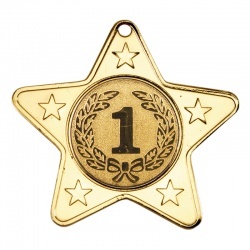 Star shaped medal in gold colour finish with number one motif. 50mm 'dia'. 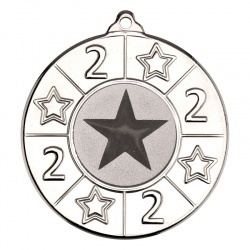 50mm diameter '2' medal with ribbon loop, in silver colour finish. 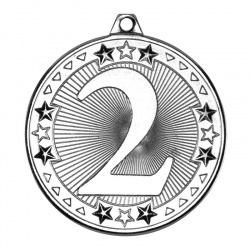 50mm medal with ribbon loop, in silver colour, with number two and star motif. 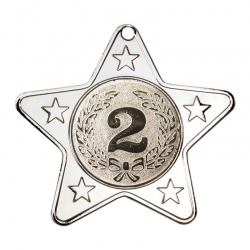 Star shaped medal in silver colour finish with number two motif. 50mm 'dia'.